TURIN, Italy (AP) — After listening to taunts from the Juventus crowd for 90 minutes, Jose Mourinho couldn't help but pay them back in kind. 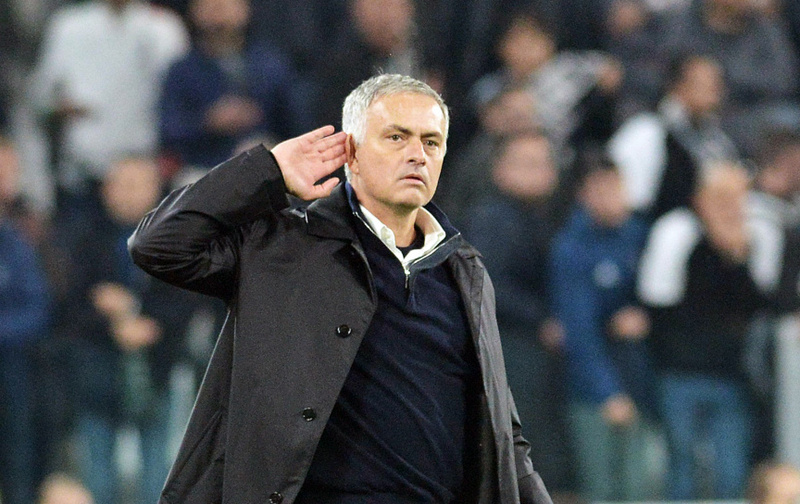 Mourinho had to be escorted off the pitch Wednesday after celebrating Manchester United's 2-1 comeback win over the Italian side in the Champions League by cupping his hand to his ear to the crowd after the final whistle. 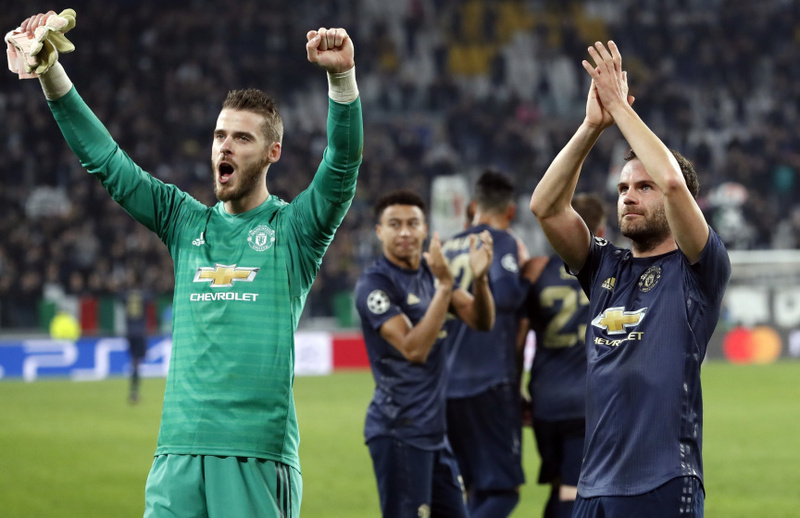 The gesture sparked a small altercation with Juventus players that overshadowed one of the most important results of the season for United, which has struggled domestically but now has a great chance of reaching the knockout stage in Europe. "I came here to do my job and I was insulted for 90 minutes," Mourinho said. "I wouldn't do that gesture again but I don't think I offended anyone and at the time it seemed like the appropriate response to those who had insulted all my family, apart from my Inter one too." Mourinho is unpopular among Juventus fans after managing bitter rival Inter Milan for three years. After United's 1-0 loss to Juventus at home two weeks ago, he responded to the goading of the Italian fans by holding up three fingers toward them, denoting the treble of titles — Champions League, Serie A and Italian Cup — he won with Inter in the 2009-10 season. "When I work for a club like Manchester United I need to forget my past as in those 90 minutes I represent Manchester United," Mourinho said. "But the others (Juventus fans) didn't forget. "And it is a great joy for me because we won against a super team, and not because they are the enemy of Inter." "We shouldn't have given away those free kicks, we're giving away a lot of those at the moment, it was the only way United was going to score," Juventus coach Massimiliano Allegri said. "But the team did well, we are still at the top of the group and we have two matches which will allow us to finish first. It's OK to lose against United, but seeing how the match went it leaves us with a bit of a bitter taste." 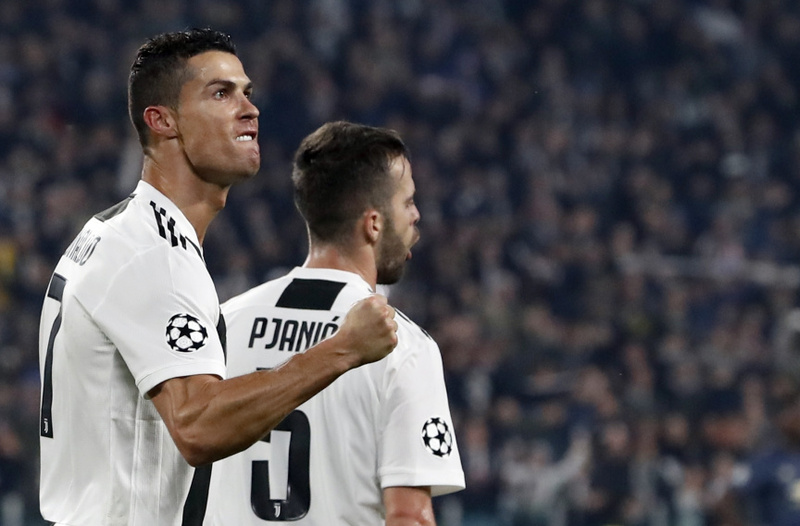 United played better than it did when the two sides met in Manchester but Juventus had a number of opportunities and had already hit the woodwork twice before Ronaldo struck in the 65th minute.